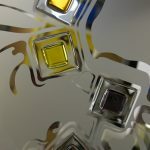 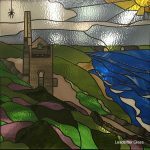 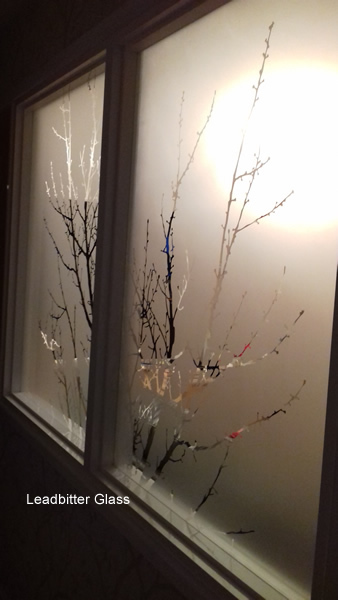 In 2018 we created this pair of glass panels for a client in Preston. 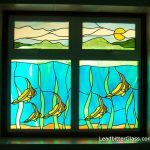 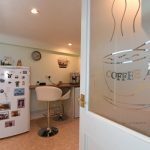 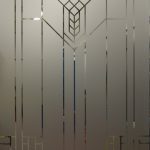 The client wanted to make a feature of the window but wanted a natural feel to the glass design. 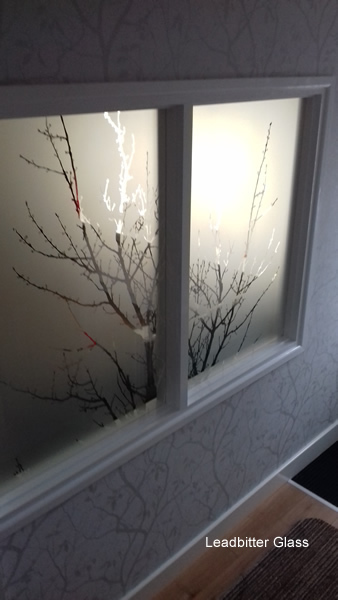 After browsing our Etched Glass Gallery the client came upon our Shadows Of Nature range and fell in love with our popular Autumn Tree design. 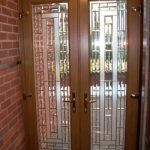 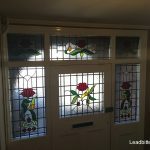 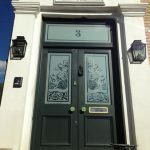 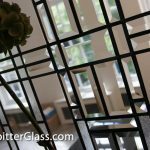 The client supplied us with the glass sizes and the measurement of the gap in between the two panels so we could make the branches of the pattern ‘line through’ correctly. 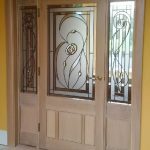 As usual we supplied a design for approval before the glass was actually started. 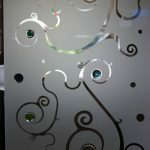 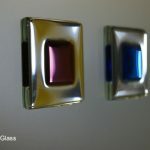 After the glass was delivered and installed, the client sent these photos along with this message.